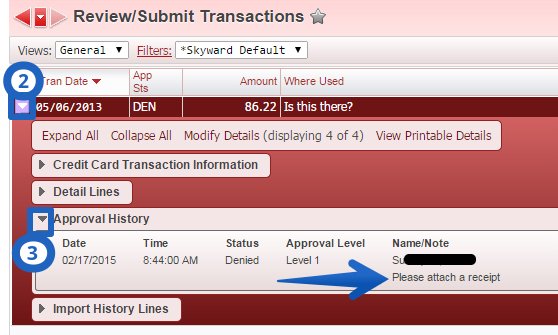 P-Card activity is submitted through Skyward, however activity & convenience funds are not found in Skyward. Instead, p-card holders will submit activity to a clearance account, and the bookkeeper will handle the transfer of funds from the district clearance account to the building activity fund. 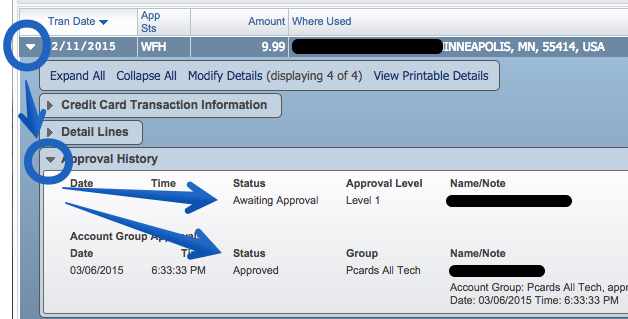 The following details how to submit p-card activity to a activity or convenience fund. In the Credit Card Detail Transaction Maintenance screen, click in the Description box. First, type in the name of the building activity account like Boys Tennis. Next, type a hyphen followed by the actual description of the purchase like “-court improvements”. Place your cursor in the Account Distribution field. Note: Be diligent adhering to step 2. The bookkeeper will use whatever is at the beginning of the description to identify which building activity account needs to be charged. She cannot complete her job without step 2 completed.